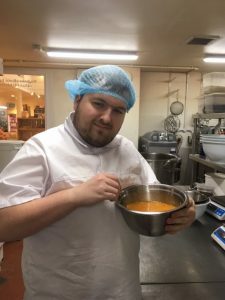 Ben started his Supported internship at Ludlow Farm Shop in January 2019. 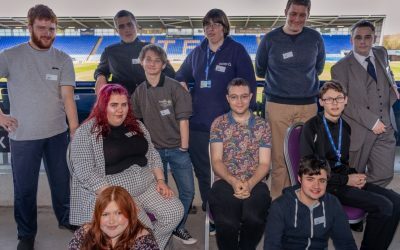 Ben attends Futures on each Monday and Friday, alongside his placement every Tuesday, Wednesday and Thursday. Ben is enjoying his internship and is extremely popular with the staff at the Farm Shop. He started working in the jam, pickles and Marmalade room and has recently started in the bakery. On his first day in the bakery he began with glazing the mince pies, then he made shortbread biscuits for comic relief. Ben’s final job was to squeeze the juice from 12 oranges and grate the zest for orange cakes. This was quite a messy job but he felt a great sense of achievement when he had finished. The orange juice and zest are the key ingredient which makes the cake taste so good.